Take stock of your medicine cabinet today. 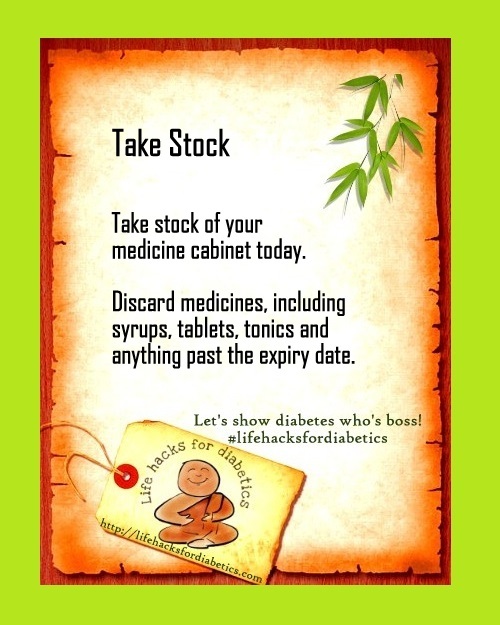 Discard medicines, including syrups, tablets, tonics and anything past the expiry dates. Participating in the April A to Z Challenge via this blog for the first time was exhilarating. My heartfelt gratitude to everyone who visited, commented and shared my posts. Taking stock, reflecting is always wonderful. I hope you enjoyed the tips I’ve been posting. If you have suggestions, please do let me know! Stay healthy! Linked to A to Z Challenge 2015 Reflections. Three cheers to Arlee Bird for this fantastic experience. Every year I say I’m going to go through my medicine cabinet, but I don’t do it well enough. It’s a good reminder, however.